God cares! He cares about me and you! And He cares about our sin! The message I listened to the other day was taken from Romans 5:17 “For if, because of one man’s trespass, death reigned through that one man, much more will those who receive the abundance of grace and the free gift of righteousness reign in life through the one man Jesus Christ.” Death in Adam, Life in Christ- meaning that Adam started sin but through the fee gift of righteousness, in the life of Jesus, we are forgiven! But it’s what we do with the free gift!!!! What is our responsibility? What is my responsibility? 1.) Believe and choose to enter into the relationship. 4.) Pass it on! It’s too good not to share! It’s Believing with my whole heart and understanding God’s plan to save us. But it is my responsibility to purse God and to have a heart that longs for Him. So I Believe and I Pursue, but it is so important to Protect. How do I protect my relationship with the Lord? The same way you protect any relationship you have…you spend time: listening, praying, reading, building, giving, loving, serving. And the more you protect, the more you will pass it on! The problem is SIN! We believe, start to purse, but sin gets in the way! We accept the free gift, but as we sin (which we all do) the sin make our relationship with God cloudy, and it’s hard to protect a relationship that you can’t see! That is why the protection is so important! Yes, I will sin, but as long as I take the time to listen, pray, read, build, give, love, and serve, then the cloudiness will be no more! 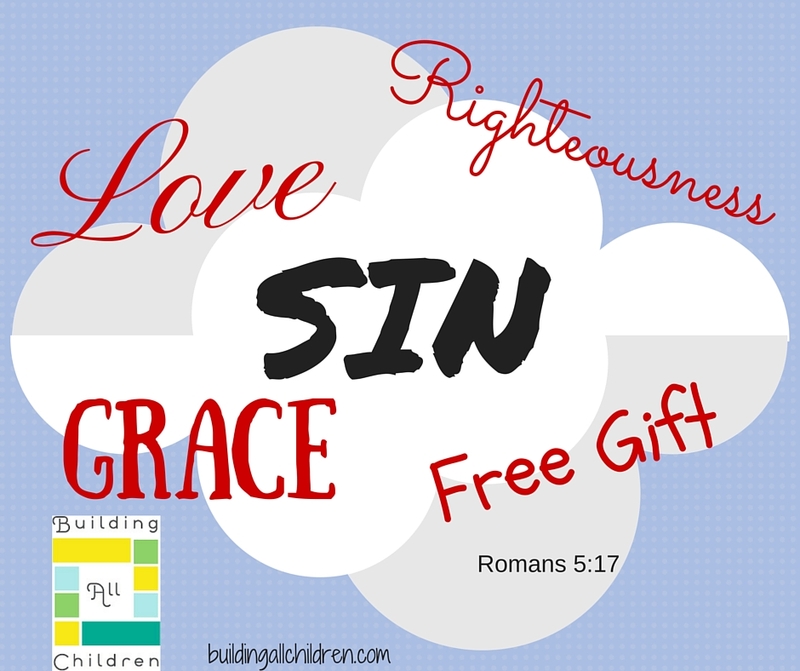 Sin doesn’t remove Grace or my gift of righteousness. Sin clouds up the relationship! The entire purpose of living is to have a relationship with God! Passing it on is what I will do! Why? Because the true gift never goes away…we just have to seek, ask for forgiveness, and get through the cloudiness! I am thankful for a God who loves, provides, forgives, and comforts!